Testing and product validation is a critical aspect of supporting an oxo-biodegradable product, and one which Wells Plastics takes extremely seriously. 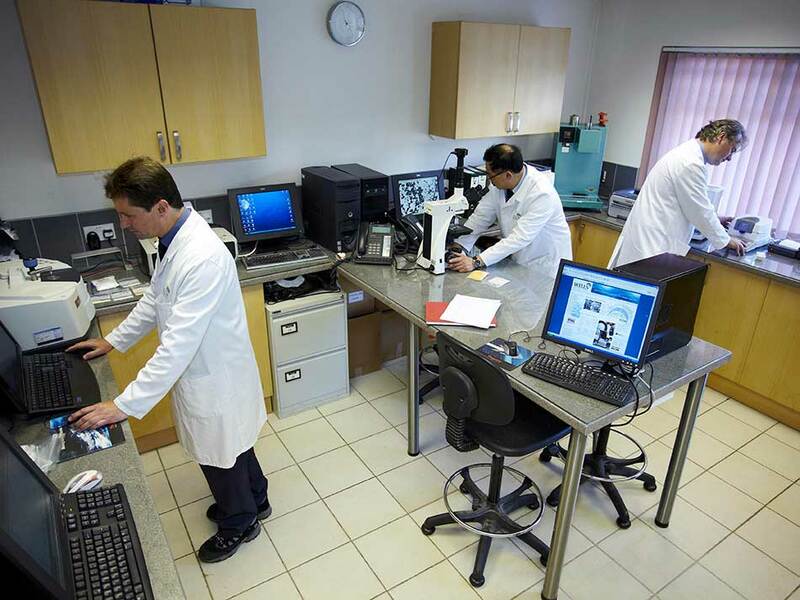 Wells has a dedicated laboratory and staff who conduct quality control degradation profile testing in order to determine suitability of a formulation for a given application. In addition to this we have a wide range of bespoke manufactured test chambers in order to conduct these tests in a timely fashion. Wells Plastics own internal test regime, Carbonyl Index Determination WPL 111105, utilises a modified version of ASTM D 5208-01 (Cycle C) test method. The ageing cabinet used contains UV lamps to simulate gentle outdoor sunlight. The temperature of the cabinet is maintained at 50°C according to the test method. The samples are removed after fixed time periods and the carbonyl index determined by Infra-Red analysis, using a modified ASTM D 5576 test method. In addition the film is empirically assessed for friability and state of embrittlement. The carbonyl index at the point at which the film was embrittled is noted and presented as 100% embrittlement. The remaining carbonyl indices are calculated as a percentage of this and presented as a “Degree of Embrittlement”. ASTM 6954 Standard Guide for Exposing and Testing Plastics that Degrade in the Environment by a Combination of Oxidation and Biodegradation. This document sets out a framework to determine oxo-biodegradability encompassed in a three tier testing regime. Including first stage oxidation and molecular weight reduction, mineralisation and finally soil toxicity. The test has to be completed in succession and material generated from Tier 1 pass to Tier 2 then to Tier 3 otherwise the process is meaningless. Tier 1 – is the exposure and subsequent measurement of the oxidation stage, this can be accomplished simply by thermal, UV or a combination of these accelerators. The material is monitored and the molecular weight determined. The molecular weight should finish below 5000 and there should be less than 5% gel. The gel content measurement ensures that the prodegradant is not crosslinking the polymer into much more difficult entities to biodegrade. Sufficient material must be generated from this stage to go into Tier 2 and 3. Tier 2 – the mineralisation stage, this can be performed under a number of ASTM test methods but the oft used is ASTM 6400 composting specification to determine the rate and degree of mineralisation over a given time period using the material from Tier 1. Tier 3 – the residue from Tier 2 is then subjected to soil toxicity testing. 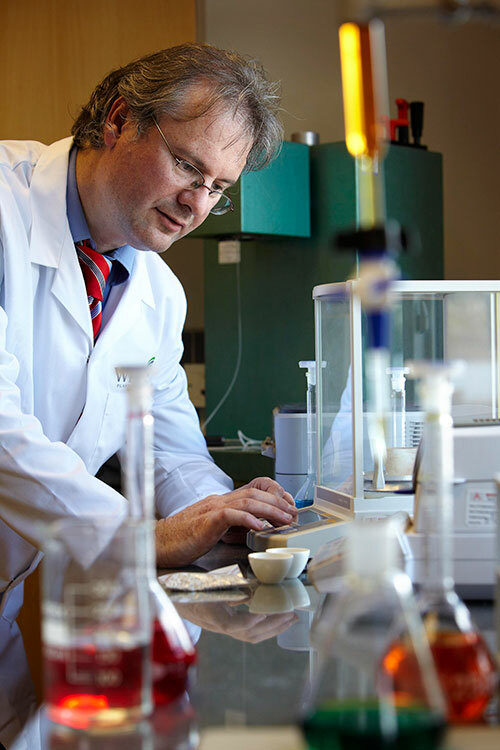 Many ReverteTM customers have tested ReverteTM based products under this protocol in part or completely with excellent results, proving both mineralisation and safety of the product. A British Standard specification which incorporates many of the salient features of ASTM 6954 outlining the methods used to determine oxo-biodegradability in polymer substrates, was published in June 2011 and entitled "Methods for the assessment of the oxo-biodegradation of plastics and of the phyto-toxicity of the residues in controlled laboratory conditions". This specification has better helped categorise oxo-biodegradable products and their performances. The term "oxo-biodegradation" is defined as per CEN/TR 15351:2006, as "degradation identified as resulting from oxidative and cell-mediated phenomena, either simultaneously or successively". of plastics materials and products. The Wells Plastics technical team have been present on the BSi Committee for a number of years bringing to the group a breadth of technical and academic experience to help bring this standard into realisation. Wells Plastics and many ReverteTM customers have independently tested ReverteTM based products under this protocol in part or completely with excellent results, proving both mineralisation and safety of the product.